Sniffer dogs uncovered 450 bricks of cocaine in Philadelphia, the city's largest seizure of the drug in more than two decades. Local, state and federal law enforcement officials said Thursday the cocaine was found inside 13 duffel bags in a shipping container. 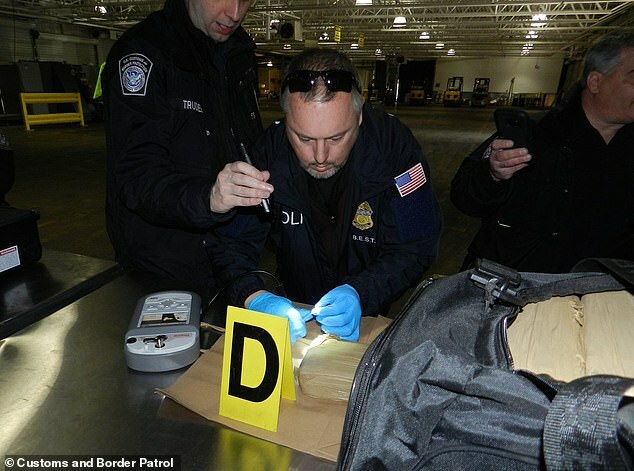 Customs and Border Protection's Area Port Director for Philadelphia Joseph Martella says Tuesday's seizure amounted to more than 1,185 pounds of cocaine worth about $38million. Martella says the ship was ported in Guatemala before stopping in the Bahamas and was destined for the Netherlands. Based on their historical data, and the area where it left from and went through being considered a 'high-risk area,' the container was searched by a K-9 unit on Tuesday and the drugs were found. The container was brought to the Port of Philadelphia on North Delaware Avenue. 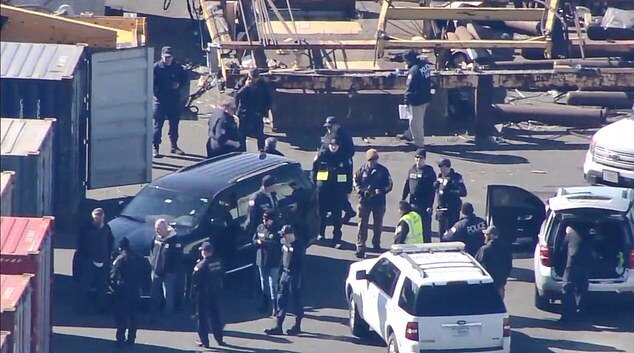 Multiple agencies, including Philadelphia Police, Pennsylvania State Police, Delaware State Police, Homeland Security, the DEA, the U.S. Coast Guard and Customs and Border Protection, inspected it around 10.30 am Tuesday. 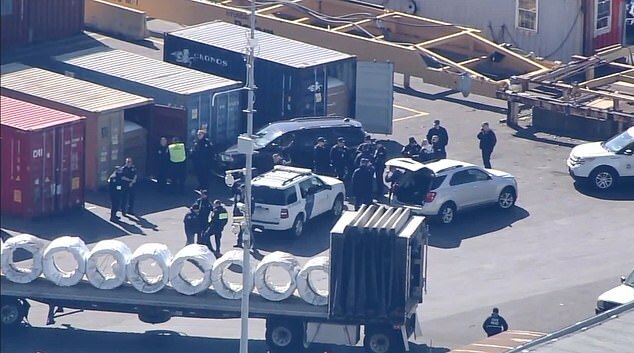 U.S. Customs & Border Protection Mid-Atlantic Region spokesman Stephen Sapp said following a multi-agency inspection, the alleged contraband was discovered inside a shipping container. It is Philadelphia's largest seizure since 1998. Casey Durst, CBP's Director of Field Operations in Baltimore, hailed the team who conducted the apprehension. 'Taking a half-ton of dangerous drugs out of circulation is a significant success for this collective team of federal, state and local law enforcement officers who work very hard every day to keep people safe,' Durst said. 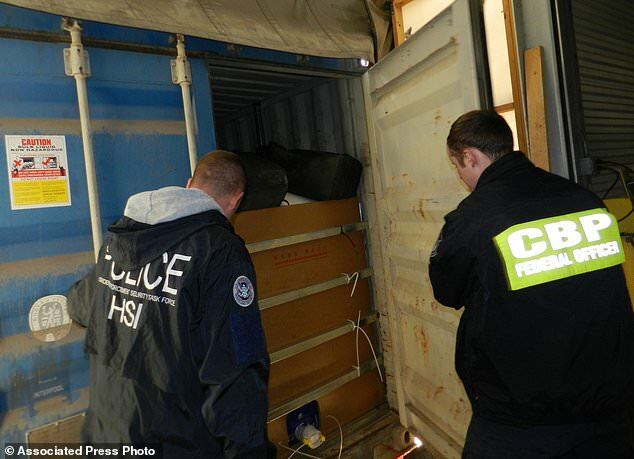 Federal and local authorities inspected the container after noticing the bolts on the door had been tampered with. Last month, customs agents seized 3,200 pounds of cocaine worth $77 million at Port New York/Newark. 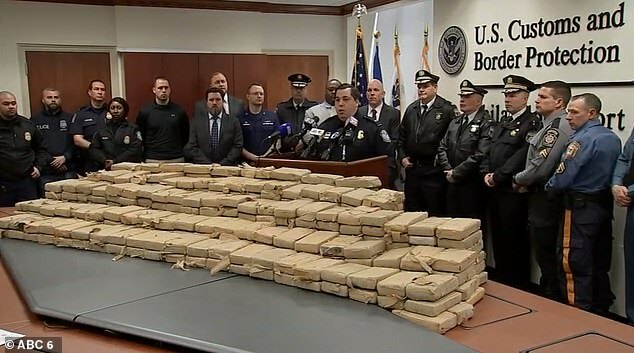 The cocaine haul at the Port of New Jersey and New York was three times larger than the latest Philadelphia seizure and the street value of the cocaine was worth three times more at $77 million. Customs agents seized the biggest shipment of cocaine recovered at the ports of New York and New Jersey in 25 years. It's the biggest cocaine seizure at the ports since 1994. 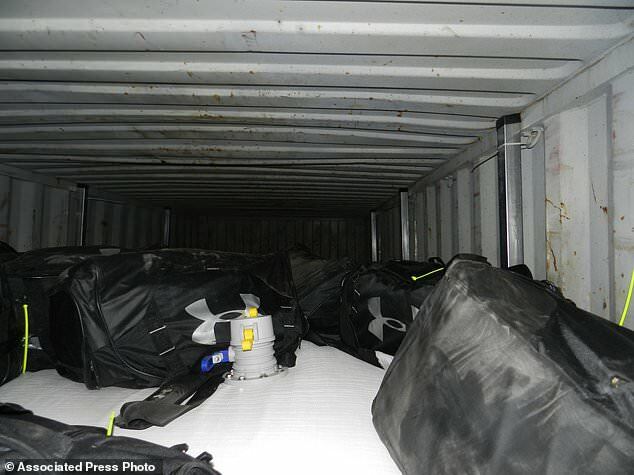 The drugs were hidden behind boxes of dried fruit aboard a cargo ship. The shipment was intercepted when the vessel stopped over in New York/Newark on its way to Antwerp, Belgium.